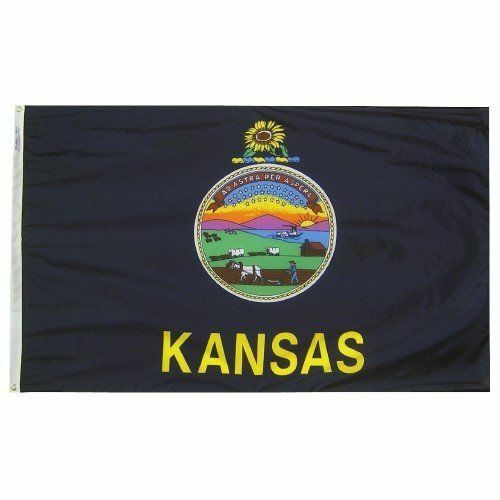 AmericanFlags.com is proud to carry Kansas State Flags in a variety of materials, and styles, in sizes ranging from 4" X 6" to 12' X 18'. 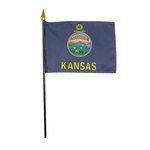 All of our Kansas flags meet official specifications, are on sale right now and are ready for immediate shipping to your door. 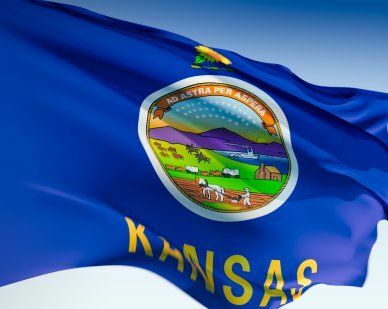 Against a backdrop of blue, the Kansas State Seal, an image of the Kansas State flower (the sunflower) and the state’s name appear on the Kansas State Flag, which was adopted for official use in 1927. 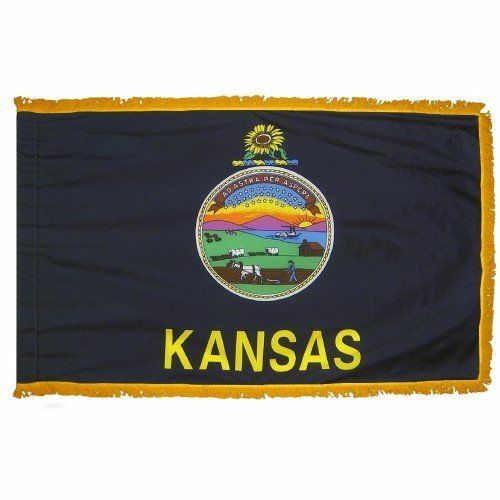 The seal features a farmer plowing the rich Kansas soil near a cabin and a steamboat which symbolizes the state’s growing commerce. The beautiful landscape and natural wealth of Kansas are represented by images of bison, hills, Native Americans and the sunrise. 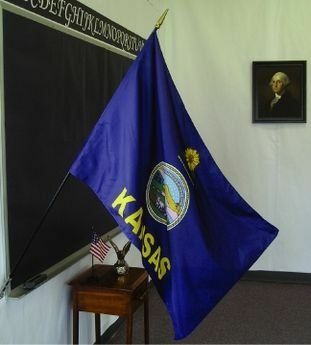 As Kansas was the 34th state admitted to the Union, the seal features 34 stars in the blue sky above the hills.